What Path Do You Think Will Lead to Your Next Job? How do you expect to find your next job — through an online ad, through cold calling companies you want to work for or through a recruiting agency? Fifty percent of people think their next jobs will come through networking, reports Right Management, a recruitment and outplacement firm. 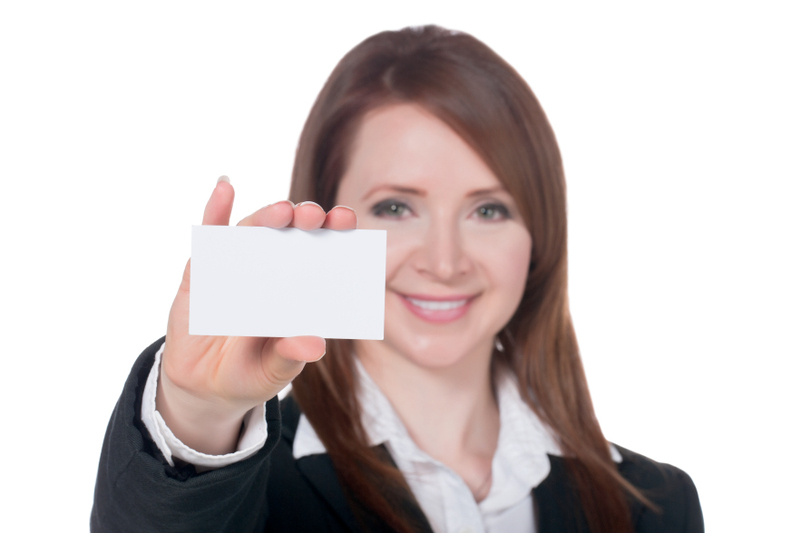 Always have a card ready when a networking opportunity arises. “These findings track well with actual outcomes,” said Monika Morrow, senior vice president of career management at Right in a press release. “It turns out that face-to-face contact is how more than half of our candidates find new employment based on firm data for the past five years, although nowadays job searches may begin through social networks such as LinkedIn, Twitter or Facebook. By itself, however, job boards are about half as effective in actual circumstances, just as the individuals surveyed anticipate. So keep networking and always be job hunting; whenever you meet someone new professionally, add that person to your potential job search network. You’ll be glad you did. This entry was posted in finding a first job, job hunting, Job search tips and tagged Always Be Job Hunting, networking, search tips. Bookmark the permalink.